Fees associated with filing industrial design applications in Yemen, as well as other design fees, are available in the fee calculator. The term for filing industrial design applications in Yemen claiming priority is six months from the date of priority. The restoration of a priority right is not possible in Yemen. 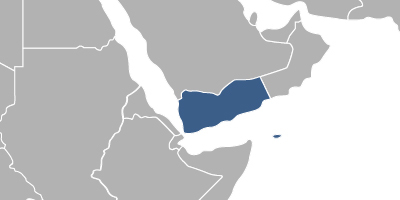 - copy of the valid commercial or industrial or craft record or what takes its place outside the Republic of Yemen (legalisation is not required). Multiple industrial design application is not possible in Yemen. Validity term of Yemeni industrial designs constitutes 10 years from the filing date; this term is not renewable. Yemeni industrial design application undergoes formal examination only. A Power of Attorney appropriately legalised by a Yemeni Consulate should be submitted at the time of filing or within one month from the date of filing the industrial design application. If the applicant is not the designer, the duly authenticated and legalised assignment deed should be submitted to the Yemeni Patent Office simultaneously with filing or within one month from the date of filing the industrial design application. The certified copy of the priority document and its Arabic translation must be submitted at the time of filing or within one month from the date of filing the industrial design in Yemen. A 12-month novelty grace period applies. To perform the industrial design prosecution in Yemen, foreign persons must appoint a local agent, a Yemeni patent attorney. Online Search Database for Yemeni Industrial Designs. Please contact us if the above information contains any discrepancies with Yemeni IP Laws.